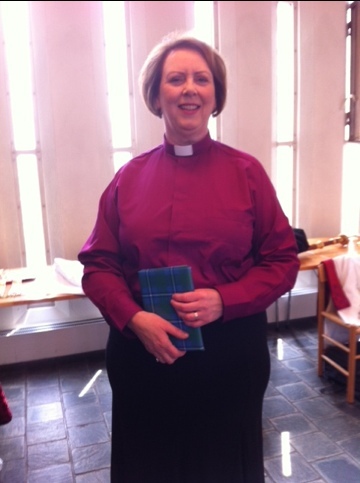 You were a bit busy at your consecration today facing up to that question – awesome whether posed in English or Icelandic – ‘Do you feel that you are truly called to the office and work of a bishop in the church of God.’. It’s vocational discernment of course and not just your own. One responds with a proper mixture of humility and obedience. But also a slight sense of discomfort that there may be as they say ‘more going on’ in the greyer corners of your heart and mind. Anyway I had a bit of time for thinking. So here is what one of the ‘silent witnesses’ was thinking and praying about as the service unfolded. I was honoured to read and take part in the Laying on of Hands. First, you are blessed in your predecessors and that is a blessing to savour. Bishop Karl has been friend and mentor to all of us in the group of church leaders of the Porvoo Communion. If you stand on his shoulders, you won’t go far wrong. Next I want to share with you a sadness. I still feel the loss of not being a parish priest any more – even though I wouldn’t want to go back to it. I watched some people coming to receive the sacrament from you today, Probably your parishioners. You could feel warmth of their love for you. You will miss that – as I do. You’ll find that almost all your relationships with the people of the church are now ‘second hand’ or indirect. They may be warm and trusting – but people are always somebody else’s people. And you can’t do that thing which all good priests and pastors do – massaging relationships in the long term; keeping them open even when there is disagreement; making progress where you can; allowing the pastoral round of baptisms, weddings and funerals to stitch you into people’s personal and family story. Now they will come to see the bishop and expect you to have an answer in an hour. Don’t be tempted. Probably men are more tempted then women to want to ‘fix’ everything. But be careful. Now for something really positive. Most of us love our work. It’s the chance of offering leadership and of building hope and confidence. If it’s in you to do that, just go right ahead. Because most of the many problems which you will face will become easier to fix – that word again – if people have hope and confidence. People in Scotland know that I like to encourage the church to express ‘death defying joy’. It’s part of our baptism that we should do that. People will tell you that this is a lonely ministry. Strange that many bishops will tell you that they have never been happier in ministry – and perhaps never so much changed by the ministry which they exercise. I do believe in the grace of ordination – and in the power of the daily prayers which are said for you. They somehow help to shape the context and to take the sharpness off people’s responses so that you can work with it. Of course there are solitary moments in the exercise of authority. There are times when you have to do things to protect and safeguard the church and do those at cost to people about whom you care greatly. Sometimes you will feel, as I allowed myself to say recently, that you have your finger in the dyke holding back a tide of ecclesiastical chaos. But sometimes God gets room to work right in the middle of that deluge. You don’t need to worry. I read the Rule of St Benedict a lot. He said that the Abbot should strive to be loved rather than feared. Difficult when some of the things you have to do can really stretch people’s understanding and goodwill. And finally, I looked at the number of clergy you have and I know that the ‘state church’ model and the finance which goes with it is under pressure. It’s hard to be a leader when there is a sense of loss – a feeling that things got more difficult on your watch. In Scotland, we make do with very little. We sometimes think that we do ‘loaves and fishes’. There is a mad and faithful joy in that. It can be liberating. Thank you +David. Mad and faithful joy. I like that . Seems very Celtic.